The Niagara Region has it all; wineries, theater, cycling, boating, hiking, historic sites, natural wonders, shopping and fine dining. Darlington House Bed and Breakfast in the idyllic town of Niagara-on-the-Lake is the perfect place to make as your home base to enjoy all the region offers. Each year, visitors from around the world come to stay in this historic town with its English village atmosphere located on the shores where the Niagara River and Lake Ontario meet. World-renowned Live Theater, Niagara VQA wineries, expert culinary talent, and quaint shops are within walking or cycling distance of Darlington House B&B. Many wineries are nestled below the Niagara Escarpment amongst a scenic landscape of vineyards and orchards that run continuously down to the picturesque Niagara River. A variety of wineries are mere minutes from Darlington House B&B by car or with more time can easily be visited by bicycle. Each winery is unique and can offer many activities including, tasting bars, tours around the properties and fine cuisine. If you like a picturesque hike, several wineries (for example Peller Estates, Two Sisters, Jackson-Triggs) are within walking distance of Darlington House B&B. Or, take your bicycle along the bike path right outside Darlington House B&B. An easy bike ride can take you along the Niagara Parkway or Concession roads to wineries such as Ravine Winery, Chateau Des Charmes or Coyote’s Run. Discover Niagara-on-the-Lake theatre with productions from the Shaw Festival Theatre, producing the works of Bernard Shaw and Shavian playwrights. The Festival Theatre, Court House Theatre and the Royal George Theatre are located within 2 kilometers from Darlington House B&B, through beautiful Niagara-on-the-Lake. The quaint English village style shops and variety of restaurants on and next to Niagara-on-the-Lake’s high street offer something for everyone. From art Romance Collection Gallery , to coffee shops and to fine cuisine all within walking distance of Darlington House B&B. Pamper yourself or someone special and be reinvigorated with a spa treatment in Niagara-on-the-Lake. Several spas are within walking distance from Darlington House B&B, for example Shaw, Vintage Inns and 124Q . The Pillar and Post Inn is just down the street from Darlington House and your spa appointment includes use of their indoor pool and gym facilities. 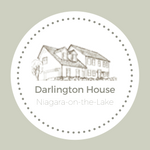 Darlington House is a great central point for many cycling routes in the Niagara area. 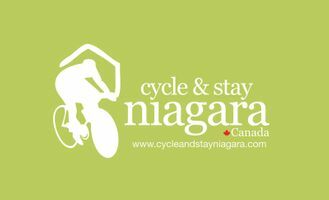 We are part of a network of fantastic “cycle-friendly” Bed & Breakfasts located along the Greater Niagara Circle Route, see Cycle and Stay and cyclinginniagara.bike. Bike rentals are available at Grape Escapes Wine Tours or Zoom Bike Rentals (both will on requestdeliver your rented bikes to Darlington House). For hikers, Darlington House is directly on the route of two side trails of the famous Ontario Bruce Trail. To see an up to date list of current and upcoming events in the Niagara region, check out the Niagara tourism website, Wineries of Niagara-on-the-Lake website and also the Niagara-on-the-Lake Chamber of Commerce website.